As 2018 comes to a close in only a few hours I want to wish you a safe and happy New Year and take this opportunity to wrap up our 2018. It has been another amazing year for Precision. In fact, it has been the best yet. 2018 has been my fifth year in business and just like in previous years, it has delivered amazing results as well as its share of challenges and opportunities. We have achieved plenty this year and surpassed many goals. Some of these we have well and truly smashed! 2018 is definitely one for the Win column. 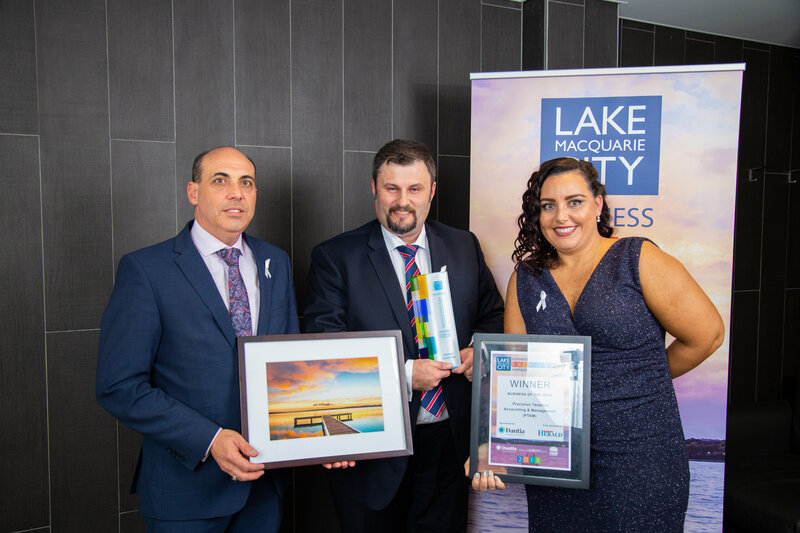 Finishing 2018 as the Lake Macquarie Business of The Year is a pretty great way to go out. 2018 was off and running before 2017 even finished. During the Christmas break last year I read “Shoe Dog” by Phil Knight (Thank you Kelly). Phil Knight is amongst many things, the Co-founder of Nike and his memoir is the most inspirational business book I have ever read. I am sure everyone is sick of my references to the book but Phil’s quote “It’s not just that there’s no finish line; it’s that you define the finish line” is an essential point for any small business, including my own to embrace. There is always something to improve, always something to learn. This has been on my mind throughout the year and has spurred the Team on to seek out opportunities to improve every day. For an office that divides itself by those that “Love The New England Patriots” NFL Team and those that are “Other People” the year was off to a slight false start. On 5 February we hosted our fourth Super Bowl event and were disappointed to see the Patriots fall to the Philadelphia Eagles 33-41. In May we were ecstatic when Team #PTAandM were named as finalists in The Lake Macquarie Business Excellence Awards. To be finalists for two years in a row was itself a huge honour. Given that there are over 13,500 businesses in Lake Macquarie, to be nominated in 5 categories is no small achievement. The nominations were for Excellence in Customer Service by an Individual – Kelly Eke, Excellence in Work, Health and Safety, Excellence in Digital Technology, Young Business Executive of the Year – Kelly Eke and Excellence in Small Business (-20). As well as being nominated by the judging panel for Business of the Year, this has been the high point of my professional career. As a fan of reality TV, “The Journey” or more appropriately, documenting “The Journey” is a concept that I embrace and share with the Team. The awards process from beginning to end forces me to focus on what Precision does well and at the same time, where it can improve. Business owners don’t often have the opportunity, nor are they forced, to really drill down into what are those things that make their business what it is. For me, this introspective has been well worth the effort. I now know more about where Precision can improve and I also know where we are perhaps performing better than our competitors. I would never have known these things had I not been a part of a process that required such an honest self-assessment nor would I have truly assessed how we could demonstrate this to ourselves and others. The Gala Dinner The night itself was amazing. For starters, it was my birthday, and we kicked it off in our office with our pre-awards party. Celebrating with our family, friends and clients in true Precision style made this birthday the best birthday ever. It even tops my 10th birthday in 1984 when we watched the Opening Ceremony of the Los Angeles Olympics and then had McDonald’s. 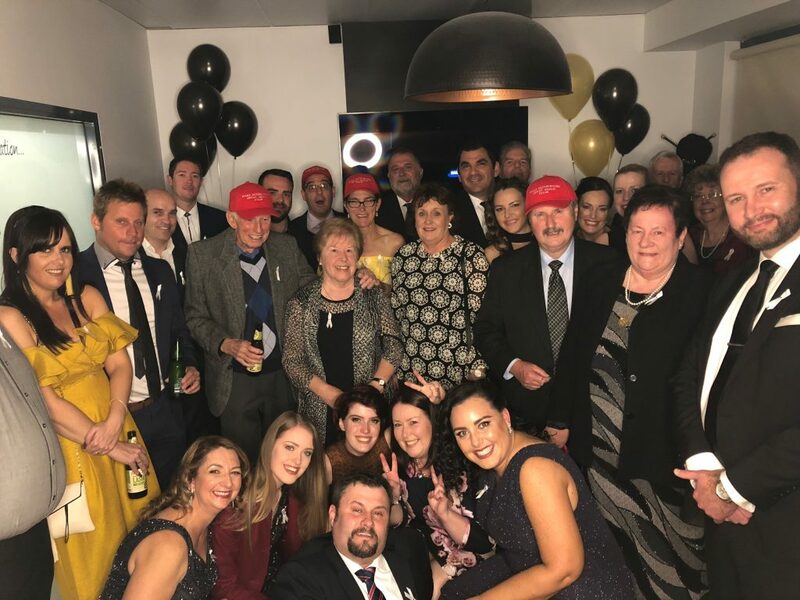 With everyone spilling out of the office and into the street, wearing silly glasses our Make Accounting Great Again hats we were able to let our hair down and thank them for their loyalty and support. The 28th July was also White Ribbon Night and we were proud to be able to support this program so publicly not just by wearing our ribbons throughout the night but by providing ribbons for the packed house at Belmont 16’s. In typical Precision style, we documented the night on Social Media, the good, the bad and the ugly. The pics don’t lie (at least ones that we have shown you) we had an awesome night! The Gala Dinner once again proved why the Lake Macquarie Business community is so special. There exists mutual respect and admiration for other businesses and business owners in Lake Macquarie that doesn’t seem to exist to this extent in other communities. You only need to see the mutual love and respect shown on Social Media by the business community to know this is a fact. All you need to do is to check out #LMBEA on any social media platform. This is so even amongst those businesses in direct competition. Rather than feeling dejected at not winning a category, I found myself cheering loudly for the winner and saying things like “they truly deserve that win” or “yeah they do make great waffles”. This may run against the competitive spirit but I do find it a great part of the LMBEA process. Perhaps it’s the accountant in me wanting to always support, encourage and be the cheerleader for our clients and anyone willing to show the entrepreneurial spirit, or perhaps it’s the knowledge that as a fellow business owner there is a shared understanding that there are many struggles that all combine behind the scenes to make up the final product ready for public consumption. Winning awards for Excellence In Customer Service, Excellence in Digital Technology and Business of The Year are huge achievements for any business. It is amazing to think that less than five years ago we didn’t even exist. I guess we embraced the struggle. The public response has been overwhelming. We are so grateful and humbled by all the kind words and support received. In September, we attended Xerocon Brisbane 2018. This year’s event was even bigger than last years with delegates from Australia, New Zealand, and Asia. This was the fourth Xerocon for Team #PTAandM and as was the case in the previous years, we were impressed with the inspiring content and the work of many of our industry leaders in the field of accounting and software development. Team #PTAandM love new and shiny things and there was plenty of this on show over the 3 days. Carolyn wrote about her experience of attending her first Xeronon here. This year we continued our sponsorship of The Business Growth Centre. We kept up the fight for the recovery of Katrina’s super and had some further victories despite the fight continuing into its 14th year. We continued our proud sponsorship of Hamilton Olympic in 2018, were excited to sponsor the growing Hunter Gridiron League and were on hand to see the Bombers take out Hunter Bowl III. The Team were so proud to have been able to support Camp Quality 1000ks 4 kids where over $450,000 was raised to help kids and their families who have been impacted by cancer. Community Support is very important to us. So is our relationship with the Defence Force. So when Kelly suggested last year that we support our Troops at Christmas by sending care packages to those on deployment it was met with great enthusiasm. This is one of the most personally gratifying things I have done in business. This was our second year of support and we hope to make 2019 even bigger with more businesses joining us to say thank you! Social Media has continued to be a key part of how we keep in touch with our clients and the world. 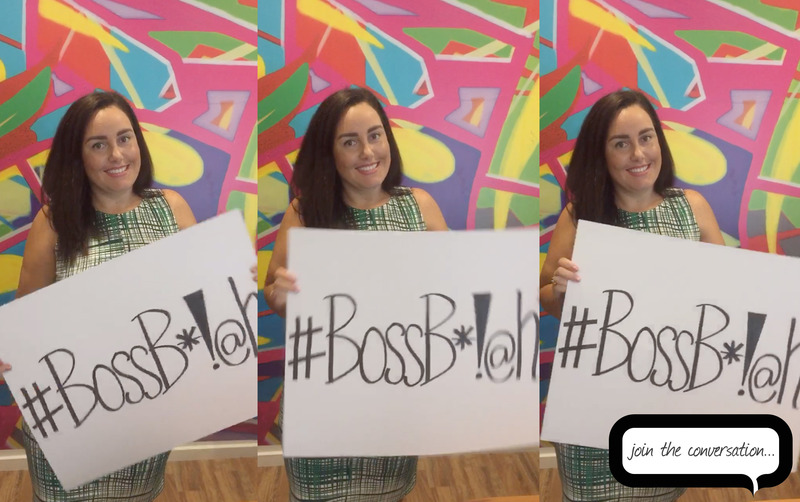 Kelly has continued to do an amazing job with our Facebook, Twitter, LinkedIn, Instagram and YouTube pages. 2018 was also another big year of change. We watched the Turnbull Government’s third budget from Precision HQ and provided live updates via Twitter during the night. We were excited to present Our Own Analysis of the major budget initiatives immediately following the Treasurer’s Speech. This year we refined the major makeover we had last year. We haven’t changed, but we believe that our branding is a better fit for who we are. At Precision we have always believed that there is no other way than “telling it like it is”. We don’t sugarcoat our advice and believe that one of our biggest strengths is engaging our clients in conversation. We have operated under this philosophy from the start and this year we have leveraged our expertise within the Building and Construction Industry to better support our clients. “Award-winning Chief Operations Officer Kelly Eke has leveraged the firm’s corporate culture to design a program called “CARE With Precision”. This program encompasses areas of safe work practices, healthy living at work and mental health. “We spend so many hours at work it is important to reduce Workplace Environment Stress as much as possible,” Ms Eke said. “In the accounting industry we have very demanding deadlines with government agencies such as the ATO or ASIC, for instance, on top of that working closely with our small business clients and advising on issues that they are facing in their respective industries can be very overwhelming on a daily basis. 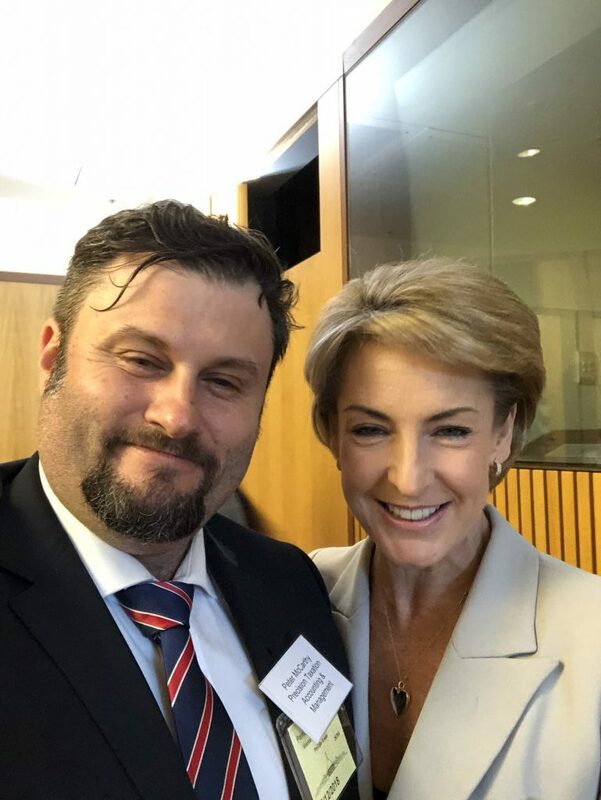 I was invited by Hunter-based institute Everymind to present at a Small Business Roundtable in Parliament House, chaired by the Minister for Small and Family Business, Skills and Vocational Education – Senator Michaelia Cash, earlier this month. I’ve been lucky enough to know Kelly Eke for almost 15 years and couldn’t be more proud of what she has achieved in the last year. She helps to keep the show on the road. In January she commenced the role of Chief Operations Officer and I think her success in this role, as well as the firm’s success, speaks for itself. As a business owner, I know very well that things don’t always go according to plan, but as Phil Knight says, “It’s not just that there’s no finish line; it’s that you define the finish line”. It has been another big year, and with only a few more hours until we welcome 2019, we are all taking advantage of some downtime. We will be back on Monday 14th January 2019 all set for what I am sure will be another great year. 2019 will kick off with the always exciting Xero Roadshow and our fifth Super Bowl event in early February, hopefully, another win for our New England Patriots! We hope to have more growth, which will, in turn, lead to more staff and I look forward to the new stories, articles, and news we can bring you. If you are feeling festive, we welcome you to write a review on Facebook or give us a recommendation on LinkedIn. Happy Holidays from Team Precision.